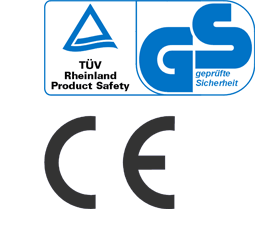 All RABO products comply with the stringent TUV standard testing for safety and carry the European CE mark, only awarded to products passing the EN71 safety requirements. The safety features have been aesthetically incorporated into the overall design of each RABO product. As RABO Tricycles reflect a unique balance of form and function, the safety features are not always visually apparent. RABO Tricycles ensure your children's best level of safety at play.